Chronic stress can cause extreme duress on the fibro body and your adrenal system. Managing my fibromyalgia is a careful balancing act of self-care. This involves eating healthy, getting adequate sleep, working out, and taking time for me. 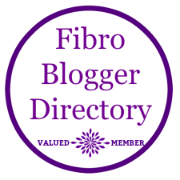 Living with fibromyalgia means that normal, every day stressors can place an additional hardship on the fibro body. So when you are faced with an extended period of stress – bad flare or other health crisis, work deadlines, family emergencies, or simply just getting through the holidays – you can place an extreme amount of duress on your body and your adrenal system. You can feel this when your heart starts to race or your hands or body sweats. Adrenaline is also responsible for that fight-or-flight mechanism that can give people extraordinary strength in times of crisis. And an over-exposure to the stress hormones can tamper with your overall well-being. There’s something to be said for getting outside and having your face in the sunshine, and your feet and hands touch the grass and the earth. It grounds us to Mother Earth and connects us to all of her energies. Tending to our flower gardens or vegetable gardens also has so many benefits that will enrich our mental and physical health.